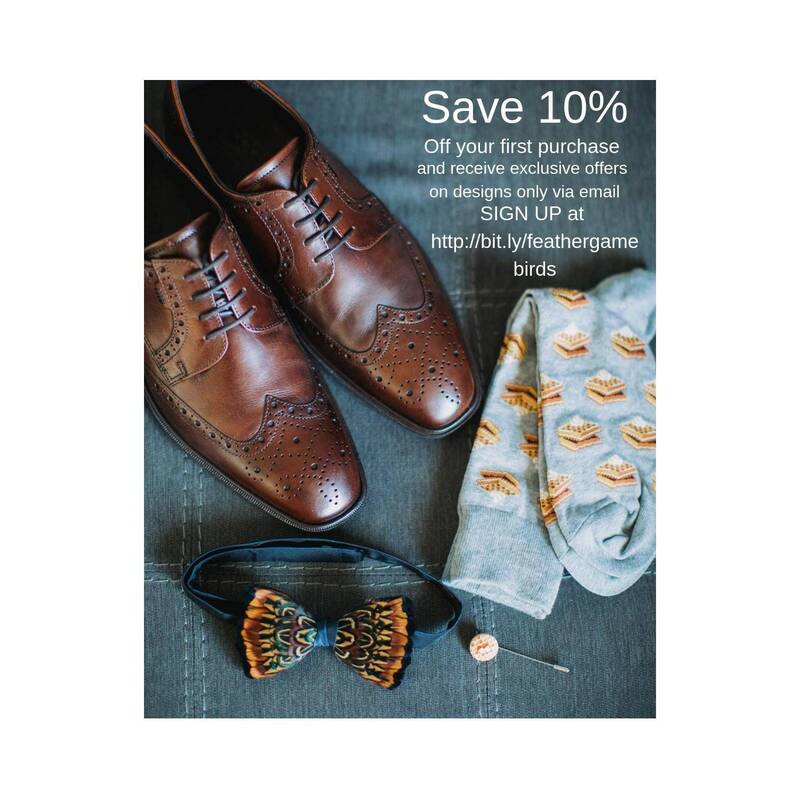 SAVE 10% off your first purchase, or next purchase by joining my email list http://bit.ly/feathergamebirds (one time use)Our feather art pieces are individually unique, sustainable, wearable pieces of art, no two can be the same. 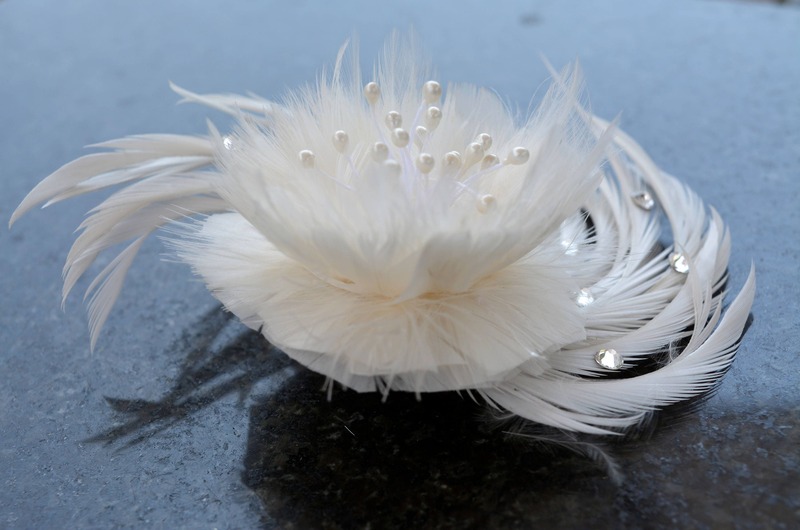 They are hand made with care and great attention to detail. 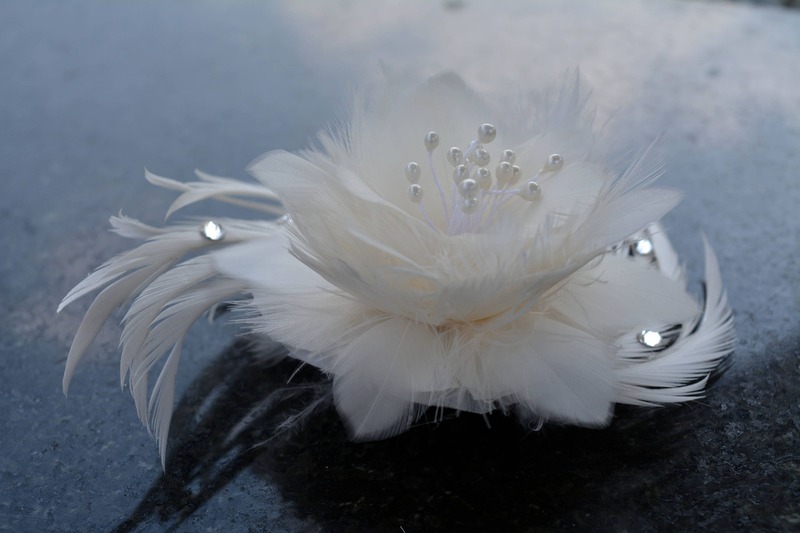 White or Ivory Feather Wedding Barrette, stunning handcrafted feather flower with spiral feather decoration genuine feathers. 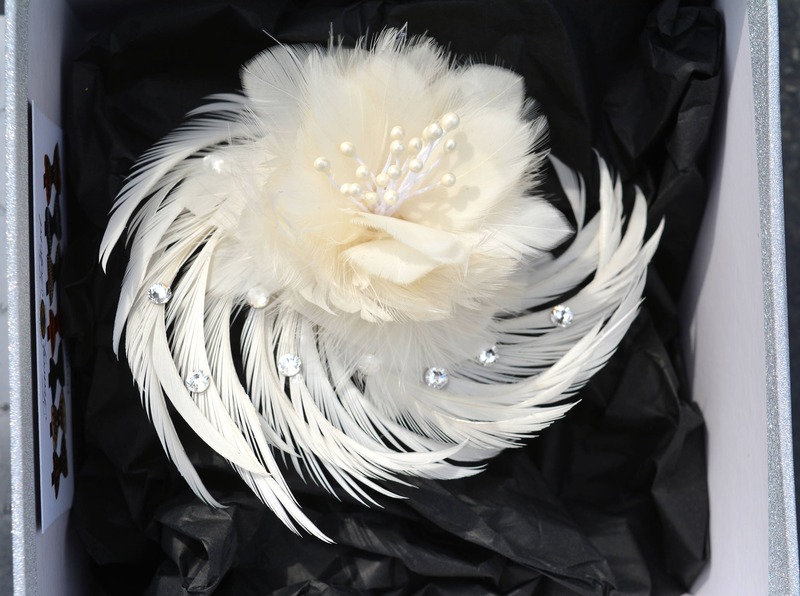 Embellished with genuine swarovski crystals and pearl stamens. Lush feather petals. Bloom time - forever! 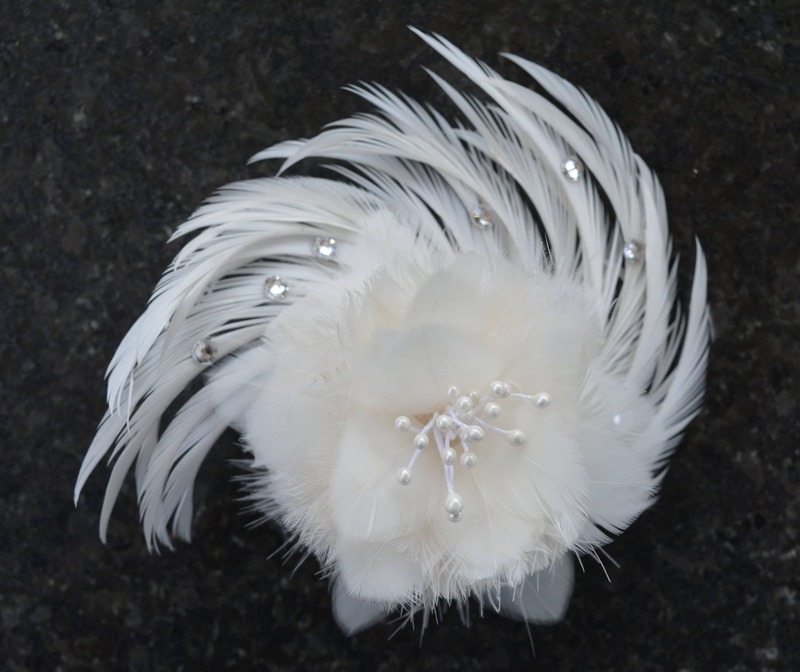 Set onto a secure alligator clip, it can be planted in your hair, attached to a veil, dress top or dress strap, jacket lapel, totally versatile piece of floral artwork. You can treasure this wedding keepsake forever. 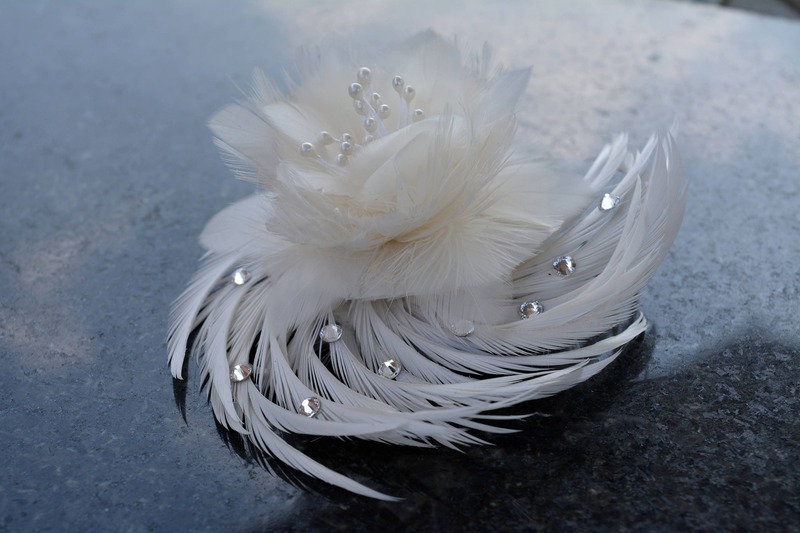 Each feather is shaped and curled by hand to form rose petals. Buyers can request customisation in a variety of colours. 3. In the notes section during checkout please state the specific date that you need the item for so we can ensure we prioritise your order in plenty of time. We specialise in custom orders, especially for Rustic / Woodland / Tweed / Country / Alternative Weddings and are passionate about the originality of our art work. Press the custom order button on the shop home page to talk about your ideas.